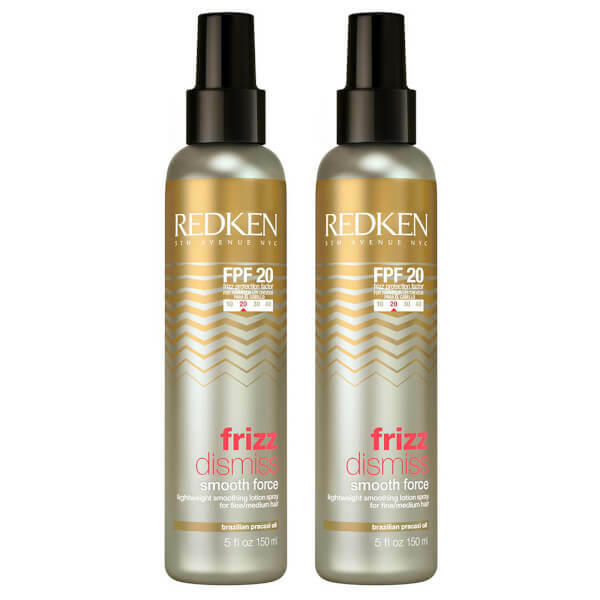 Tame frizz and flyaways with the Smooth Force Lotion Spray Duo from Redken, a lightweight spritz to smoothen the hair's surface for sleek, silky soft locks. Suitable for all hair types, its unique formula is enriched with Brazilian pracaxi oil to lock in moisture levels, whilst reducing static to leave locks calm and manageable. Delivering protection against low to high humidity, the spray is ideal for enhancing shine on-the-go.